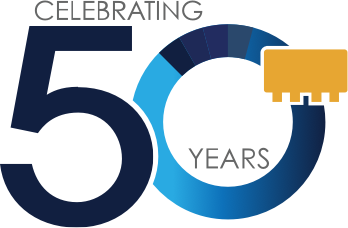 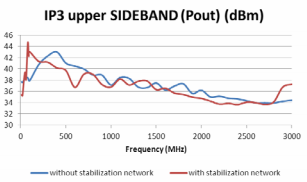 The PGA-105+ is a 15dB gain monolithic amplifier for the 40-2600MHz range with excellent gain flatness and a high dynamic range (1dB compression point: 19.3dBm @ 2GHz). 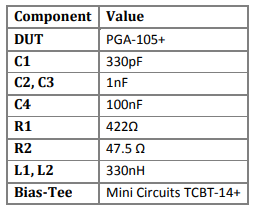 S parameters for the PGA-105+ can be found here. 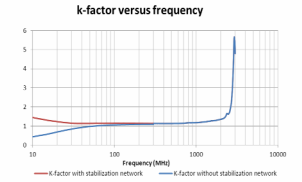 Unconditional stability requires stability factor k>1 and stability measure B>0. 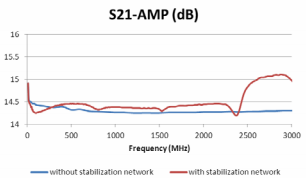 However, an analysis of the S-parameters shows the amplifier has k<1 for frequencies under 60MHz. 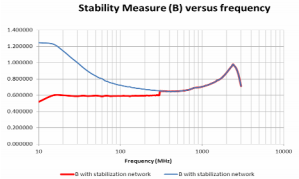 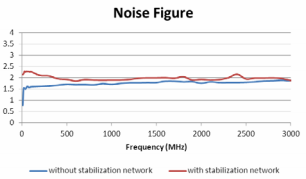 The stability parameters of the amplifier with the stabilizing network are shown in Figure 3. 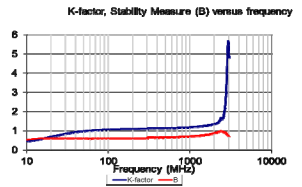 Note: k>1 and B>0 over entire range. 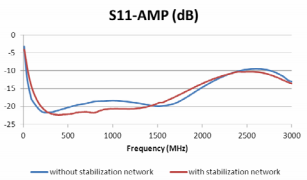 The use of the stabilization circuitry guarantees amplifier's unconditional stability.